Dads are the real hero for their children. They always support their children in each and every steps of their life. It is very much true that "Any one can be a father, but it really takes a special person to be dad. My salute is to every dad of this world. He always tries to give his 100% to his work so that he can give his children a happy and prosperous life. Dad is the hero for his children. He used to teach his children how to hold a bat and how to ride a bicycle. He is the special person who always encourages his children and pampers them like an angel and helps to makes the world ours. Gone are the days, when we need our father only in two situations…when we need money and second, when we did something wrong. Now the times have changed and in the same way the relationship between father and children. Try to make your father your best friend. Share your thoughts and ideas with him then see your life will become so easier without any obstacles. The time comes, when professional commitments and social obligations makes him to leave away from his family and children only for their sake of happiness. Living life on the fast track, it is very necessary to understand that never take your family members or children for granted. Take out some time from your professional schedules and make your weekends more adventurous and memorable for your children and family members. Today, the world depends upon the technology. Try to become a tech-savvy, more stylish addict to social networking sites and totally chilled out person. Be like a friend to your children and understands them best. If you are travelling half the month away from your family then keep in touch through social networking sites etc. 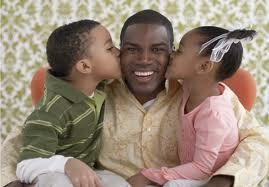 Today`s dads are doing their bit by stepping down their age and behaving like a friend with his children. They go for shopping, sky diving, partying and even want to be a part of their kids online or offline groups.